Although the Hawaiian Islands are blessed with an abundance of renewable energy sources including excellent solar and wind resources, and have the nation’s most aggressive renewable energy standards, the state still rely heavily on fossil fuels for electricity generation. With isolated (unconnected) island grids and sparse systems on some islands, integration of the intermittent renewable generation systems has been challenging. The Hawaii Natural Energy Institute (HNEI) at the University of Hawaii has initiated an integrated effort involving modeling, testing, and demonstration to identify and validate pathways to higher renewable integration. In this talk, I will discuss the analysis being used to identify strategic paths forward and will describe several projects currently underway including the Maui Smart Grid Demonstration Project, the Smart Grid Inverter Project and several grid-scale battery energy storage projects. Richard Rocheleau (PhD, Chemical Engineering, University of DE), has over 35 years of experience in renewable energy, with an emphasis in the areas of photovoltaics, hydrogen fuel cells, and energy systems. Dr. Rocheleau joined the faculty of the Hawaii Natural Energy Institute at the University of Hawaii in 1988 and was appointed Director in 2000. Under his direction, the Institute is leading the development of public‐private partnerships focused on the development, testing and integration of alternative energy technologies into the electrical grid. HNEI has major funding from the US Department of Energy and the Office of Naval Research. 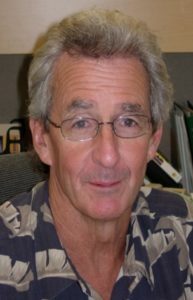 Dr. Rocheleau was also successful in positioning the Institute to receive a portion of the ‘barrel tax’, established by the Hawaii State Legislature supporting studies for integration of renewable energy technologies into the grid intended to assist the state to meet its aggressive renewable energy portfolio goals.